Only 19 Votes Away from the Goal of 250 so Please Vote for Miss Moxie! I’m very excited to tell you that I’m only 19 votes away from hitting the goal of 250 votes for my magazine Miss Moxie in the Chase/Living Social small business grant so it would be amazing if nineteen of my readers could take a few minutes and vote for me so I can accomplish this goal. 5) A small information box will come up with Miss Moxie’s info and the tagline ‘Inspiring Young Women to Live a Remarkable Life through Positive Media that encourages True beauty, Strong character and Activism’ There is a blue vote/support button next to that info. 6) Once you hit that button and you’re vote has been counted! Woohoo. You’re done at this point but you can chose to share your vote with your facebook friends if you want. Thank you so much for your support, this should only take a couple minutes of your time and will allow Miss Moxie to move onto the next round of this wonderful competition. This grant will allow Miss Moxie to expand and create amazing events, even better digital issues, support self esteem workshops and more! May I ask a huge favour? 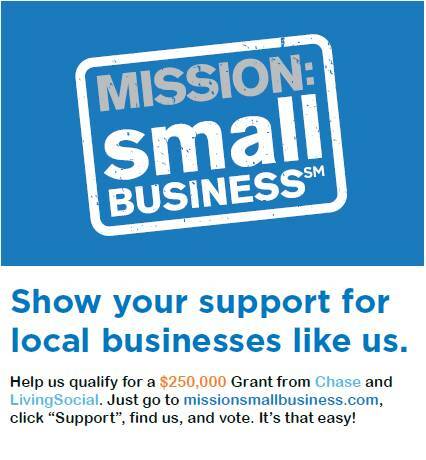 My magazine Miss Moxie is in the running for a small business grant from Chase/Living social. Its worth 250k but in order to move onto the next round we need 250 votes and we currently have 80. Voting closes on June 30th and it literally takes a few minutes and will make a world of difference. We have 80 votes so far but we need 250 so here’s how you can vote for us quickly and easily. Just follow the steps below. It’s Jubilee (i.e a celebration of a monarchs reign) time here in England and I couldn’t be happier to be in the UK for the celebrations. I’ve grown up in a land with a queen and when I was ten I was here for the golden (the fifty year mark) jubilee. I cheered with my schoolmates as the queen made her jubilee tour through Leeds, I even got to shake her hand. During the last jubilee when I was ten, the golden jubilee was just an amazing party where I got to wear crazy clothes, paint a union jack on my face, devour English food and dance to the jubilee concert. But now, ten years later, as I find myself back on English soil as a twenty year old and I celebrate the diamond (60 years) jubilee with only friends, many of who I celebrated the golden jubilee with, I find myself examining what the jubilee means beyond the party and what exactly the queen means to me as an English lass that’s wandering around the world. 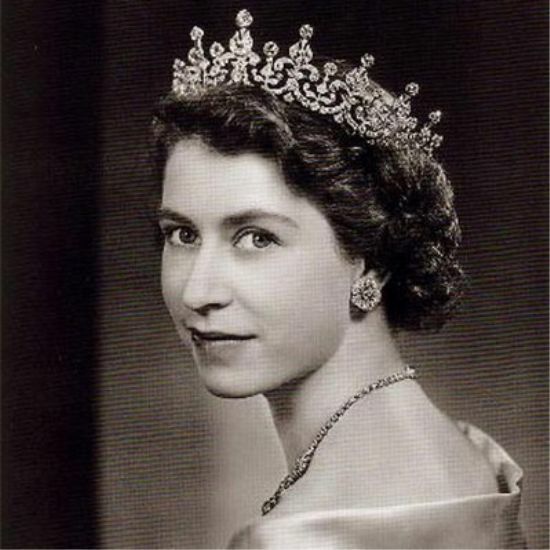 So I hope you enjoy this little exploration, if you will, of the queen, the jubilee and what it all means to me. Let’s focus on the Jubilee first of all, yes its a celebration of the queens incredible reign, she is only the second monarch in history to attain a sixty year reign, the first being great great grandmother, Queen Victoria, another very strong and gracious leader (And might I add one of the few female ruling monarchs in the English history). Beyond the celebration of the Queen’s reign though the Jubilee is a celebration of the past sixty years for all of the UK and what the country has been through and accomplished. Everything that the UK has been through in the past sixty years, wars, changes in government, cultural influence and more is reflected in the queens rule. On top of that the Jubilee is a three day ‘bank’ holiday where people get together in street parties etc and show their patriotic pride in a way that is rare for the UK. Flags fly high, food decorated in Union jacks is consumed, union jacks are painted on children’s face and we all wear the colours to play our part. Events like the boat pageant and the jubilee concert remind us of the grandeur of the event. During a Jubilee the country comes together like no other time and truly has one heart beat. For a country that is compared to say America almost unpatriotic that is a rare and beautiful thing. That is why the Jubilee is special, yes its an amazing party and we get three days of revelry (as one popular Jubilee t-shirt says thanks for the day off) but more that that its a chance for us to get pride in the country and also get closer to the people we love through street parties, events and more. Now for the Queen, there are many that say we don’t need her, that she has no real power and represents an outdated constitution. To a certain degree those people are write, she has limited power and is part of an age that has long since passed. When the rest of Europe was destroying their monarchies the monarch of Great Britian, Elizabeth’s grandfather managed to keep the monarchy going but it was very nearly destroyed. However I think the Queen is very much needed and a rare thing in todays world. We cange so quickly now and everything moves so fast. With facebook, twitter etc everything is instant and when you blink the world has changed. There are very few things that have remained a steady influence on the world for sixty years but Elizabeth the second has. Despite ridiclous changes, personal grief and her country often calling for her removal she has remained an elegant woman that rules with a love of her people and a quiet understanding of the world. The Queen has without ever doing an indepth interview managed to capture and keep the world’s attention for sixty years. How many public figures have been able to do that? But beyond her popularity I think for me she represents traditions and values that sometimes an a children of the 20th/21st century I wish were still present today. I long for that sense of honour, respect and romance that existed in the early years of Elizabeth’s reign and yes I’m not an idiot. I now that period was not perfect by any means but you can’t deny that Elizabeth is a slice of the period your grandparents remind you of. That time of smooth jazz, innocent romances that included courting, a gratitude for everything since it wasn’t so long ago a war took everything and a genuine care for people. Those traits seemed to have fizzled in the past few decades but when I see Elizabeth I smile and think maybe thanks to her and her family those qualities remain in our thoughts. Lastly let me say this, she adores her people and does so much work with charities and respects the military with all of her being. She performs all of her duties with a sense of quality that goes above and beyond. She could very easily lean back and take it easy, after all as many would point out, she doesn’t have real power but she chooses to carry on. She chooses to perform her duties to the best of her abilities and she chooses to go above and beyond for her people. She respects and loves the history of the monarchy and knows it is reliant on the people. She is the keeper of the royal tradition and so much more. Its the way she carries on tradition that allows her to inspire this country to be patriotic and come together as one. She is a lady, a strong woman and an excellent leader. In my humble opinion she is a woman I would like to emulate and I can only hope that if I’m blessed enough to make it to eighty five I can still be working as hard as her and do it was as much grace. She is the best of British culture and the influencer of the British citizen. She embodies the stay classy, work hard and respect everyone around you ethos that I see many British people embrace and perhaps that’s done to her reign. Whatever that undeniable British spirit, class and ethos comes from, whether it be from the Queen or from our history, I’m proud to call Elizabeth the second my queen and she makes me proud to be English and especially proud to be here in England to celebrate another Jubilee.